Multi-Platinum selling progressive pop band Marianas Trench have announced they will be releasing a new single in November 2018 with an album to follow winter 2019. The group has also revealed they will be touring North America and Europe in 2019. Tour dates are set to be announced and go on sale before the end of this year. Marianas Trenchare especially excited to return to the USA to continue their on-stage connection with their loyal and ever-expanding fanbase. They are eager to share their new music with their American fans. With top 10 radio hits such as Who Do You Love, Rhythm Of Your Heart, Fallout, and Haven't Had Enough, this pop-rock quartet constantly raise the bar for quality music, which translates into their explosive live shows. 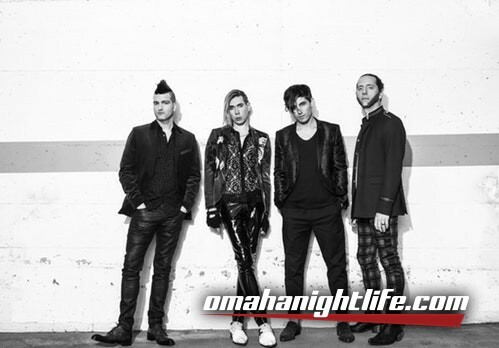 During their last album cycle promoting the album Astoria, Marianas Trench completed three headlining tours in the USA, two headlining arena tours in Canada, and two club tours in Europe. They've also toured in Australia, New Zealand, and Korea.